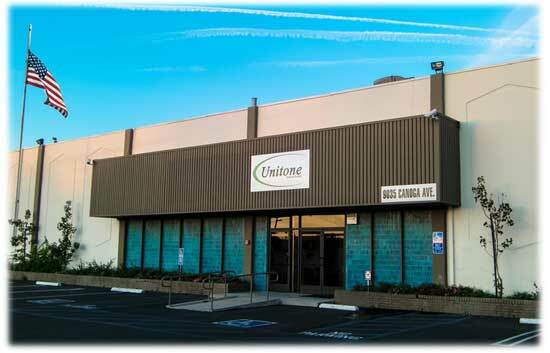 Founded in 1988,Unitone Imaging Supply emerged as a pioneer of recycled imaging products and toner cartridge remanufacturing, selling door to door to retail businesses in the area. Shortly after opening the doors, more and more customers began bringing in empty cartridges to be remanufactured spawning subsequent moves into larger facilities as the product focus turned to wholesale manufacturing for the office product distribution channel. By 2002, Unitone had undergone many changes leading to the achievement of ISO 9001 quality management systems certification and growing recognition within the independent reseller, dealer and printer service channels. 2008 brought new ownership with increased focus on same-day fulfillment and more individualized customer service. Improved vendor relationships, product development and fine-tuning of production and testing methods brought improvements in quality, reductions in cartridge re-work and STMC Certification from the International ITC. Today, Unitone Imaging Supply manufactures a broad array of color laser and monochrome toner cartridges under the ImageMaster® brand and maintains a full inventory of inkjet and copier toners supplying manufacturers and dealers around the world with top-quality imaging products manufactured with pride in the U.S.A.